Emails are one of the easiest and most effective way to keep your customers engaged with your business. Time To Pet allows you to create email campaigns directly inside of our system. You can send monthly newsletters, make company announcements or simply stay in touch with customers! 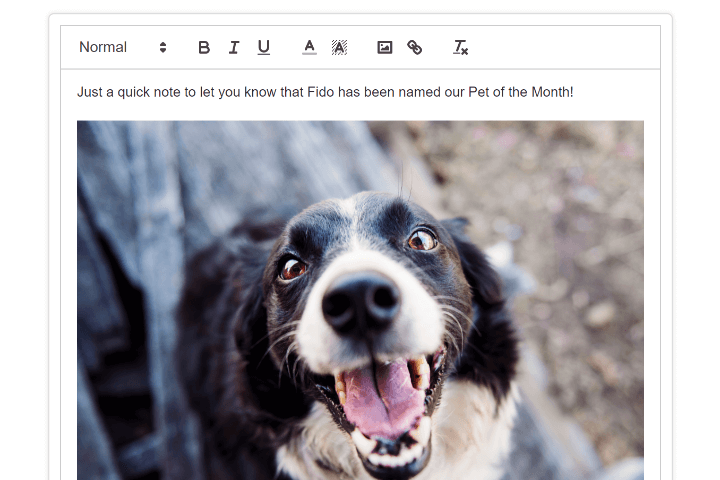 Sending regular newsletters to your clients is simple in Time To Pet! 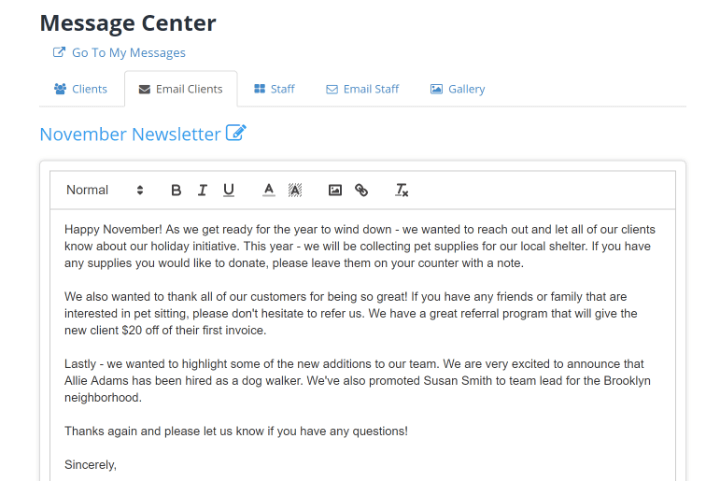 You can generate a list of your clients, re-use old newsletters and even include images! Time To Pet will also show you which clients opened the email! Want to let your clients know about your new employee? Or is there a bad snowstorm headed your way? 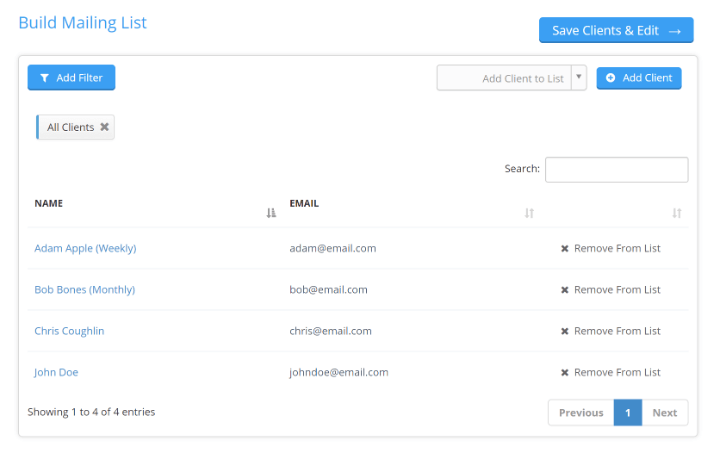 You can send bulk emails to all clients or segments of your customers right from the Bulk Email tool. 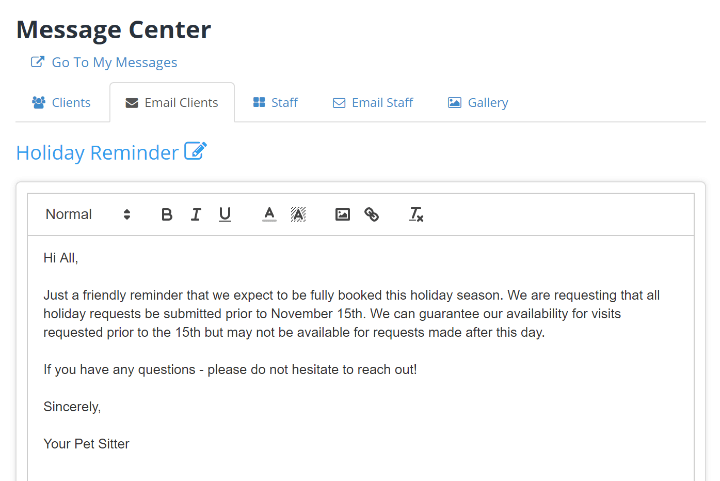 When creating a new bulk email, you can segment your clients to ensure only those that need to get that message are included. Clients can be sorted using over 20 different filters such as clients in a certain zip code, clients who have not downloaded the Client App or clients who have been active this week. Images are also supported in Bulk Emails! Want to send along an infographic in your newsletter? Or want to send along a great picture of your “Pet of the Month”? Not a problem using the Bulk Email tool!